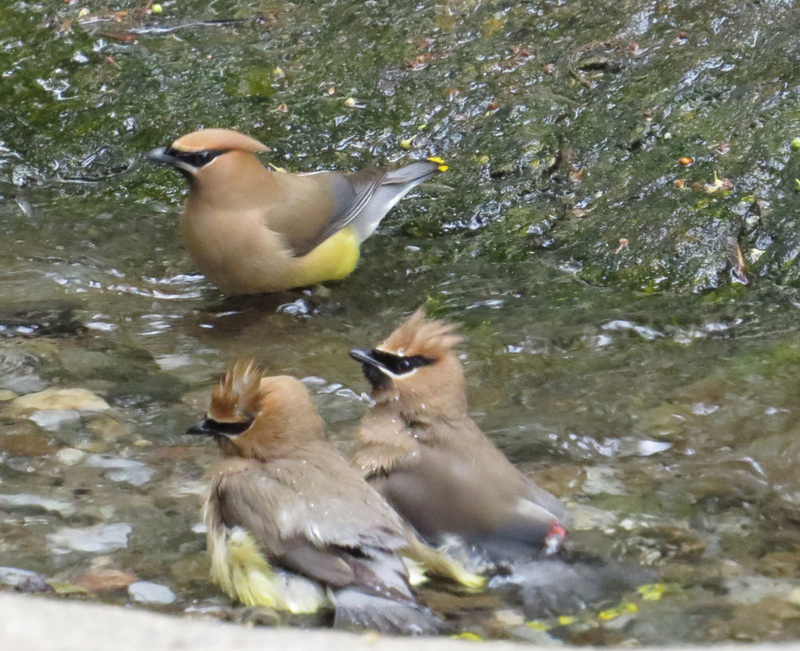 I must have done something right yesterday to get a chance to see a flock of cedar waxwings splash about in the water in the stream just north of Laupot Bridge in Central Park. I had been chasing hawks all day, first in Riverside Park at 116th Street, then at Tompkins Square Park, followed by a break to see a friend's movie, and then off to Washington Square Park. I decided to stop at Laupot to feed the birds before going to the ballet (not Swan Lake, by the way). 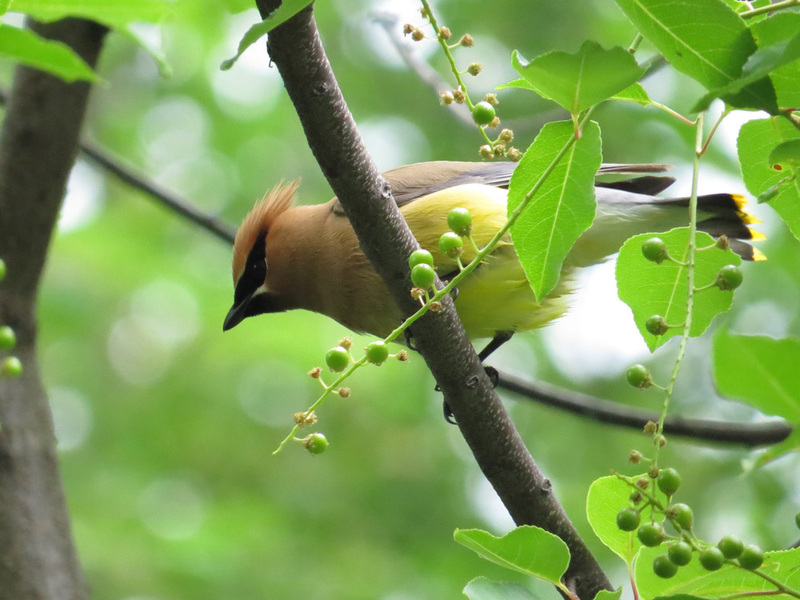 Oh, what joy when I saw a flock of at least eight cedar waxwings! And even more joy when they came down to bathe, and I was able to catch their ablutions on video. This, my friends, is the kind of Silly Video I'm trying to make when I go out every day with my camera. I hope you have as much fun watching this as I had watching the waxwings.